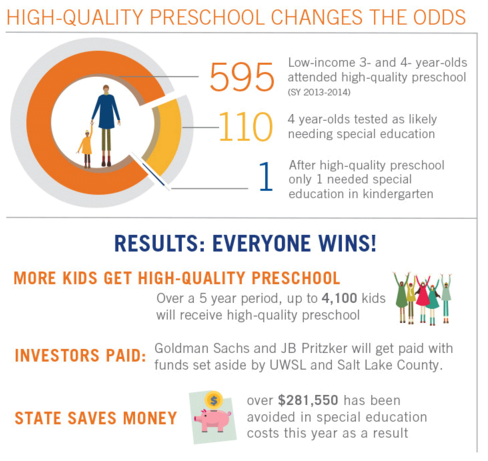 HomeWhat do we know about the Utah SIB results (without a counterfactual)? ← Rikers Island social impact bond (SIB) – Success or failure? Perhaps this is splitting hairs, but I would argue that any specific claim about what would have happened if the programme had not run is a counterfactual. A comparison group made up of actual people is the most robust counterfactual, but its accuracy ultimately depends on how well-constructed it is. Likewise, an estimate based on historical data (as in the Newpin case, as far as I know?) or a standardised test (as in the Utah case) is ‘a counterfactual’ – it just may or may not be a good one. Thanks, Matt. I absolutely agree that a counterfactual can been constructed from historical data, that there can be counterfactuals that are not contemporaneous. However in neither of these cases did they have a historical comparison of the payment metric. The historical data that was looked at for Newpin was from case notes from a sample of UnitingCare case files, rather than government data or court records for a similar population in previous years. The estimate produced by UnitingCare was not bettered by any government analysis, and wasn’t built into the payment metric or published. I’ve now asked for historical government data on out-of-home-care restorations and reversals in NSW going back 7 years. This data wasn’t obtained or analysed to inform the investor payment metric at the time. I’m not sure what you understand by ‘standardised’ in the Utah test, but as far as I understand there has never been a record of the special education outcomes of people who sat the test who didn’t receive a service. It seems the only historical data on the special education outcomes of children who sat this test at age four relates to those who participated in the previous program that was also considered very successful and did not have a counterfactual. Could environmental or continental/planetary resilience bonds be designed in a similar way? To give incentive to companies to identify fragility in continental and planetary food and freight systems, and do innovation and preparedness work make sure we don’t have big starvation events (like 1816 Year Without a Summer due to Tambora eruption). Kinda like Chicago Futures Exchange, but for human continuity/protection and biodiversity investment, rather than just wheat!